The Lakeview Civic Improvement Association is one of the oldest and largest neighborhood civic groups in the State of Louisiana. Established in 1924, LCIA has been the leading voice for our residents and businesses in times of prosperity, in times of disaster, and in times of recovery. As this neighborhood moves well byond the unprecedented events of 2005, LCIA will continue to serve its residents to the best of its ability and in response to the original purpose of LCIA: to serve as a means for Lakeview residents to work together in creating a safe, pleasant, and civic-minded neighborhood by drawing on the interests and talents of the membership to solve problems and improve the quality of life in Lakeview. Our residents are the heart and soul of this neighorhood. 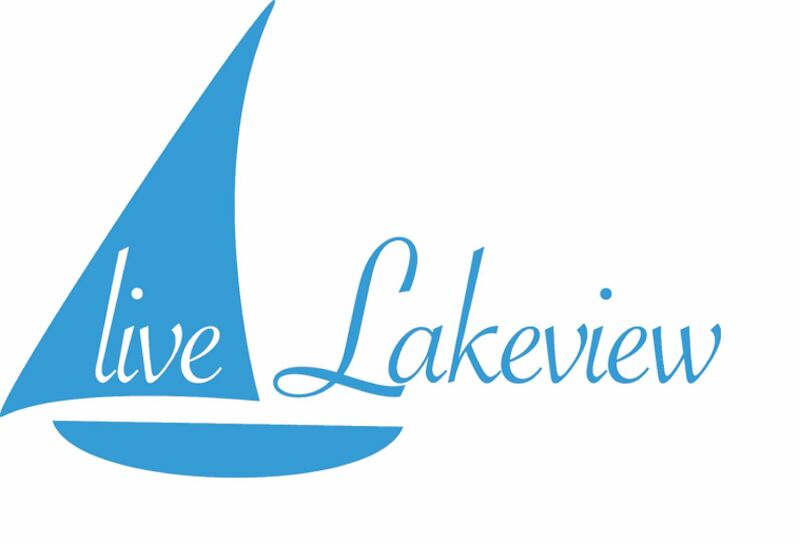 Whether you are new to the neighborhood or you and your family have lived here for generations, Lakeview is home. LCIA strives to ensure that each of our residents stay informed with answers to important questions, remain informed on key issues impacting your community, and to become truly involved in the neighborhood you now call home. Please spend a few moments exploring this website to learn more about LCIA and how LCIA and its volunteers assists our residents on a daily basis. The development of Lakeview as it exists today began with the evolution of the lake resort called West End, originally called New Lake End. Between 1835 and 1876, individuals involved in the coastwise trade and those who belonged to yachting and rowing clubs primarily frequented New Lake End. The Mexican Gulf Ship Canal Company had begun construction of a harbor with railroad facilities when the city acquired the company’s partially built embankment at the New Basin Canal and the Seventeenth Street Canal. The 100 foot wide bank was raised to a height of eight feet. Subsequently, the New Orleans City and Lake Railroad routed trains to the embankment, which was developed to house the West End resort. A hotel, a restaurant, a garden and various amusement spots were built on a large wooden platform that was constructed over the water. In 1880, New Lake End took the name West End. In 1921, the city completed improvements that included the construction of a seawall 500 feet further out in the lake and filling in the space between the old embankment, all of which resulted in the present West End Park. In the early 1900s, drainage of the area began and building began in 1905 when the first cottage was constructed in Lakeview on Julia Street (later called West End Boulevard). The house provided an office and tool house for the workmen clearing the swamps and building roads in the area. By 1909, with the swamps drained, drainage installed and streets constructed, the New Orleans Land Company began advertising and selling land in the area. The area was compared to Chicago’s lakefront property. Between 1905 and 1910, groups of homes were built in the area. Lakeview’s first school was built in 1913 and destroyed by fire in 1915. Lakeview School, the first public school in the area, was built in 1915. The first Catholic Church, Ave Maria Chapel, was erected in 1912. The church was destroyed by a storm in 1915. Another chapel was built at Milne and Harrison in 1917 to replace Ave Maria Chapel. By 1923, St. Dominic’s Church and school were built on Harrison Avenue. Even with all of this construction, lots in Lakeview were not selling very quickly. The area remained very rural for some time. Finally, by 1926, Lakeview was beginning to emerge as a prestigious neighborhood. Development was slowed by the Depression of the 1930s. As the economy improved in the later 1930s, development of the area adjacent to Canal Boulevard picked up until the beginning of World War II. After World War II, efforts began to complete modernization of transportation in the area. West End Boulevard was repaved in 1949 and bus service was introduced in 1950 when the streetcar line was discontinued. In 1949, the New Basin Canal was closed and in 1952 the Canal Boulevard railroad underpass was constructed just below the Lakeview neighborhood. By 1949, settlement in Lakeview had expanded from West End Boulevard to Orleans Avenue. While industrial uses in the area decreased between 1927 and 1949, there was an increase in commercial uses. The commercial area emerged in the area of Harrison Avenue at Canal Boulevard and on Robert E. Lee and still remains that way today. Historically, Lakeview referred to the area of the city that is bounded by Lakeshore Drive, Orleans Avenue, City Park Avenue and the Jefferson Parish line. That area encompasses four present day neighborhoods – Lakeview, Lakewood, West End and Navarre. The land that encompassed the large Lakeview area of the past was originally owned by an order of priests called the Capuchins. The priests sold the land to Don Almonester y Roxas during Spanish rule. Don Almonester y Roxas is known for rebuilding the St. Louis Cathedral with his own funds and his daughter, the Baroness Pontalba, built the beautiful Pontalba Apartments around Jackson Square. Almonester’s holdings included parts of present day City Park and the Lakewood neighborhood. Later, Alexander Milne owned most of Lakeview and the New Orleans lakeshore. The main artery of the Lakeview area was the New Basin Canal, built in the 1830s by Irish immigrants. The New Basin Canal contributed significantly to the character of the Lakeview area. It provided access to uptown New Orleans for the transport of many products from across the lake. It served as a boundary between the east and west sections of Lakeview. Lakeview was one of the first residential areas to develop in response to the potential beauty and leisure time enjoyment of the land near Lake Pontchartrain and its yacht and country clubs. This neighborhood, adjacent to the 1500 acre City Park, is made up of several subdivisions filled with luxurious homes and its major boulevards are lined with giant oaks. The Lakeview neighborhood has its roots in the work of Charles Louque who initiated the reclamation of this area of land near Lake Pontchartrain. Development of the area between the New Basin Canal and the Orleans Avenue Canal was encouraged by the West End and Spanish Fort street car lines providing access to the area and by the New Orleans and West End Country Clubs, which were located on the shell road, facing the New Basin Canal.